Key Deer NWR | Florida Hikes! There is precious little fresh surface water in the Florida Keys, but Big Pine Key is one of the places it exists thanks to the Swiss-cheese nature of the karst bedrock underfoot, which stores water in its crevices and holes. 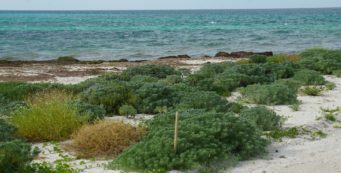 This bounty of fresh water helps support the population of Key deer in the Lower Keys. The Key deer is the smallest deer in the world, with grown bucks no taller than a German shepherd. In 1957, there were only 50 Key deer known. To prevent species extinction, 84,351 acres on Big Pine Key and on 24 other nearby islands was permanently protected as National Key Deer Refuge. 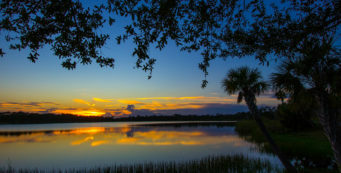 Public access is primarily on Big Pine Key. This is the location of the Visitor Center, where you can pick up a map showing all access points. It is presently located in the Big Pine Key Shopping Center off Key Deer Boulevard, but will be moving to a new, more spacious location along US 1 later in 2018. Watch for signage. 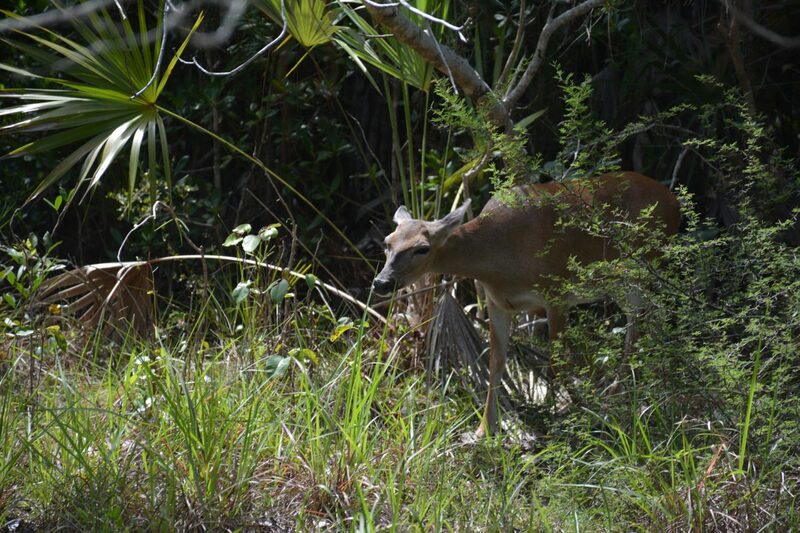 The population has rebounded to nearly a thousand deer, and you may see them wandering around the populated areas of Big Pine Key as well as through the woods. 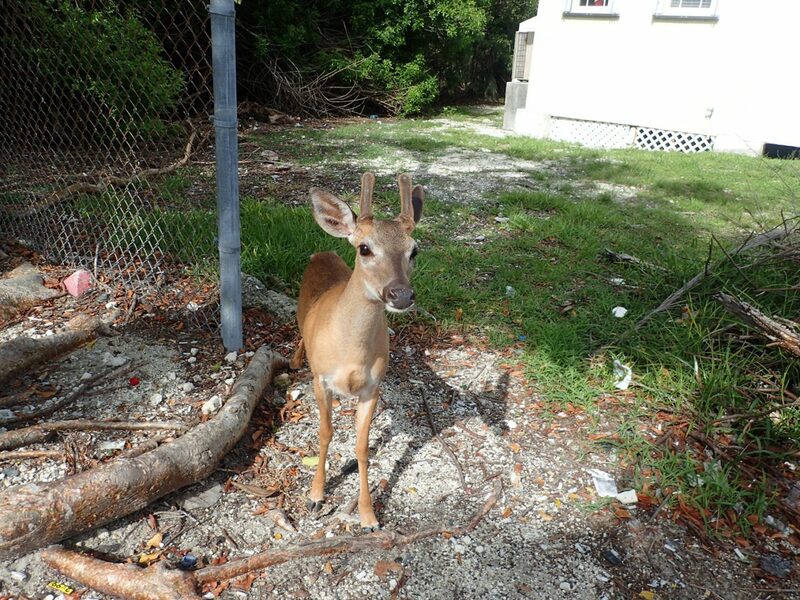 There are three nature trails along Key Deer Boulevard off US 1 where these diminutive deer are frequently seen. The most likely place to see them is at Blue Hole. 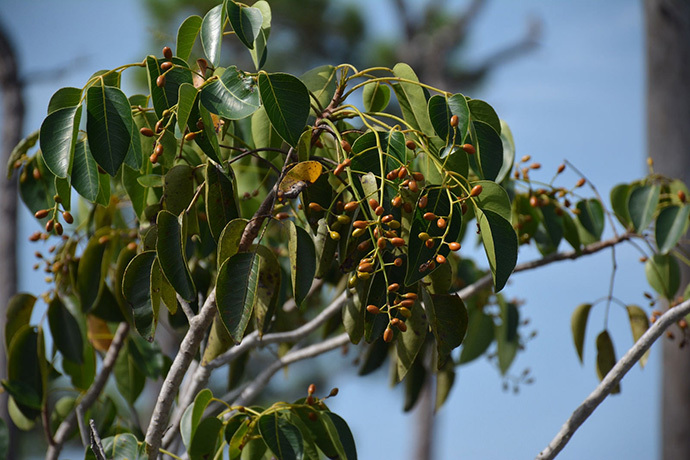 It’s important to stick to established trails in National Key Deer Refuge due to the large number of poisonwood trees and the occurrence of manchineel trees in the rare pine rockland habitats. Both of these native trees have highly toxic leaves and bark, and their fruits are deadly to humans. Going off-trail puts you at risk of contact with either of these trees. Learn more about these trees. 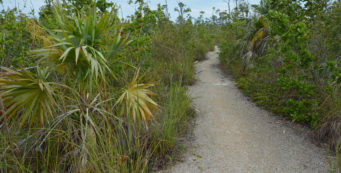 While the preserve is primarily focused on Big Pine Key, trails and old roads into the preserve can be followed at several other locations off US 1, including No Name, Upper Sugarloaf, Lower Sugarloaf, and Cudjoe Key. Unfortunately, Hurricane Irma trimmed back / destroyed these habitats and so exploration into these areas is only advisable at marked locations. 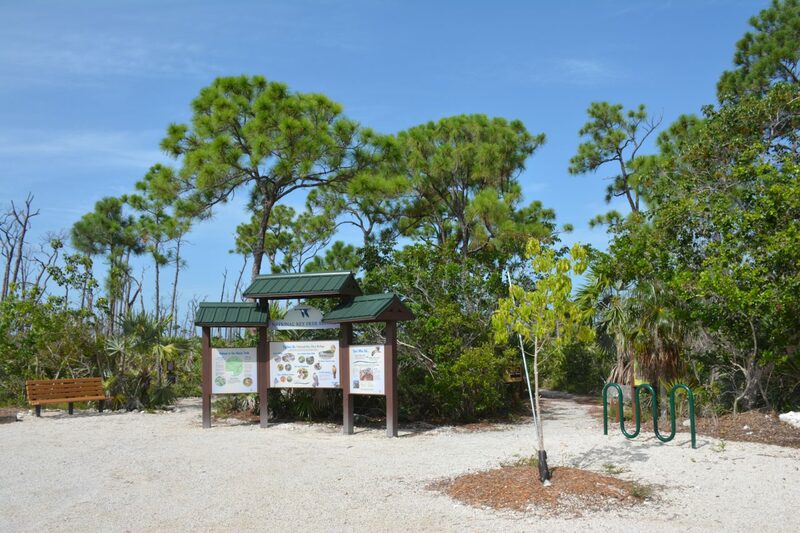 Check with staff at the visitor center before attempting any of the non-Big Pine Key trails detailed in 50 Hikes in South Florida. One of these, the Long Beach Trail, sustained significant hurricane damage and will not reopen, although you are permitted to walk down the shoreline. 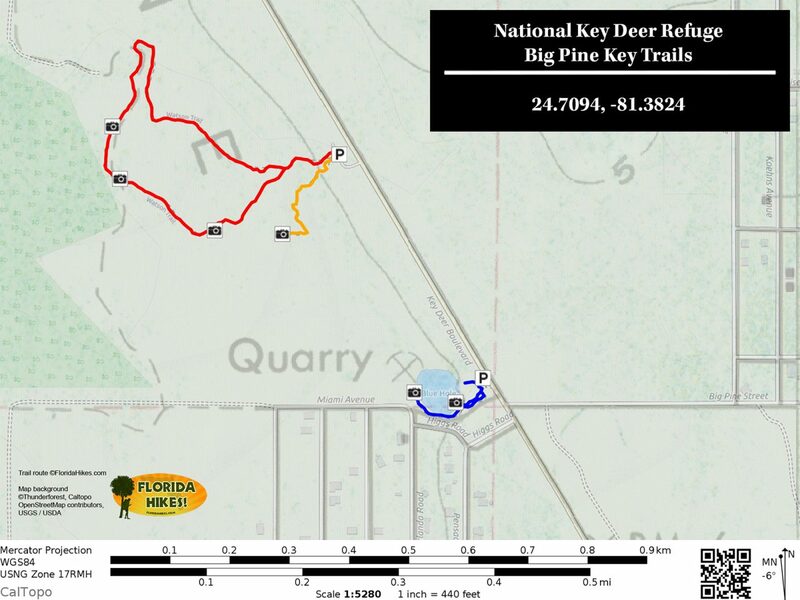 At Big Pine Key Shopping Center, you’ll find the National Key Deer Visitor Center 305-872-0774, 200 Key Deer Blvd, tucked away in one corner of the plaza. 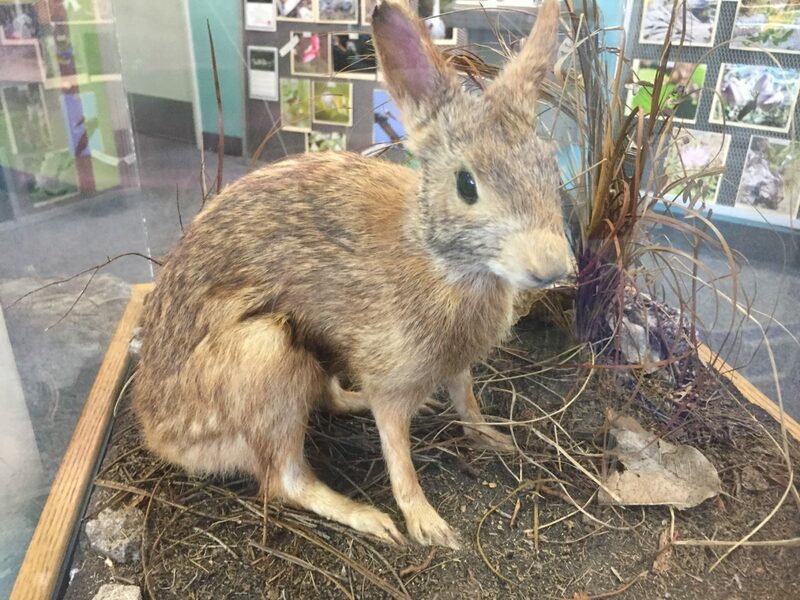 With interpretive exhibits and staff on hand to answer your questions, they are your primary source for information and maps for all of the National Wildlife Refuges in the Keys. They also carry books and maps for sale. 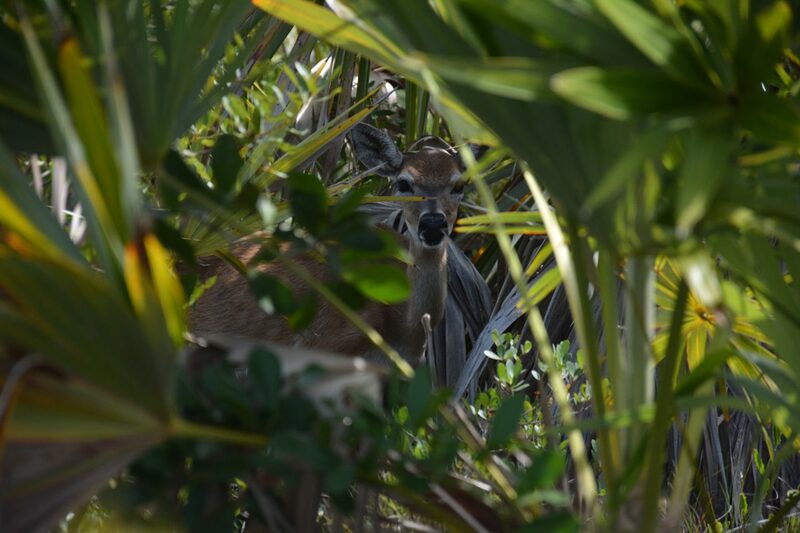 Of course, you may see Key deer wandering around anywhere on Big Pine Key, No Name Key, and the neighboring islands. Tiered speed limits are in effect on all roads with lower speeds after dark. Please drive with caution through Key deer habitat. 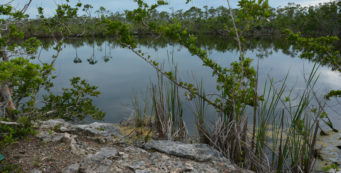 Blue Hole- For the easiest wildlife watching opportunity inside National Key Deer Refuge, head for the trail and observation deck at Blue Hole, a cenote-like pond that is the largest body of fresh water in the Florida Keys. 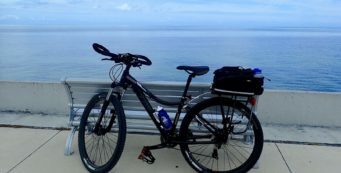 Mannillo Trail- An accessible interpretive trail providing an easy round-trip to a freshwater wetland, the Mannillo Trail gives an overview of the importance of National Key Deer Refuge in protecting both habitat and wildlife in the Lower Keys. 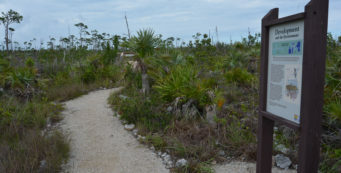 Watson Trail- At National Key Deer Refuge, the Jack C. Watson Wildlife Trail loops through rare pine rocklands and rockland tropical hammock edged by rocky freshwater marshes.